Updating your bathroom vanity is a great way to completely transform a bathroom without taking on a full renovation project. Bargain Outlet, a favorite of interior designers and savvy shoppers in the East Hartford, CT, area, is a great place to begin your bathroom vanity search. Measure Before You Shop: Bathroom vanities come in a wide range of sizes, so before you set foot in Bargain Outlet, measure your available bathroom space. Consider Your Storage Needs: Some bathroom vanities are minimalist and modern while others offer extensive storage in the form of drawers and cabinets. Keep in mind how much storage you require when you shop for a bathroom vanity. Narrow Down Your Sink Options: Bargain Outlet sells both two-sink and one-sink bathroom vanities. Double sink vanities are ideal for master bathrooms or large shared bathrooms while single sink vanities are ideal for petite powder rooms. Choose The Right Wood Color: Match the look of your vanity to the desired style of your bathroom. 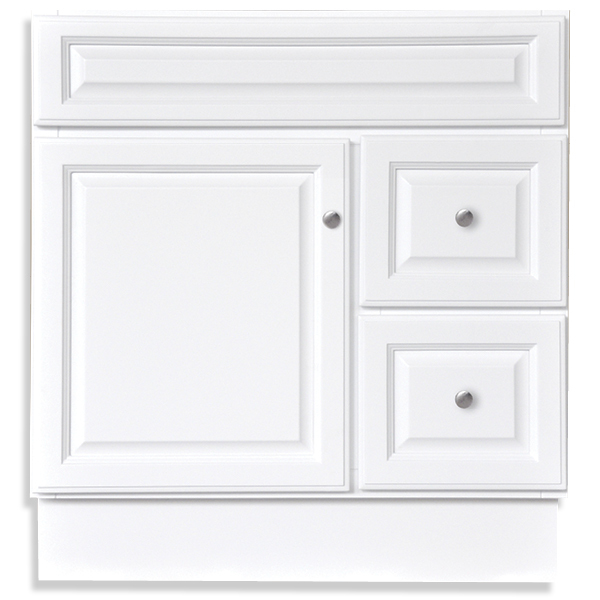 All white bathroom vanities are excellent for classic, romantic, and spa type bathrooms. Natural oak is perfect for traditional bathrooms, and dark cherry is ideal for a rich, luxurious look. Bargain Outlet has all the bathroom vanities, medicine cabinets, mirrors, and other building supplies you need to update your bathroom. Visit them online to browse the selection of products available, stop by their showroom in person, or call (860) 282-0262 for assistance.